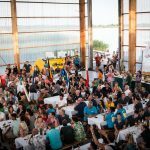 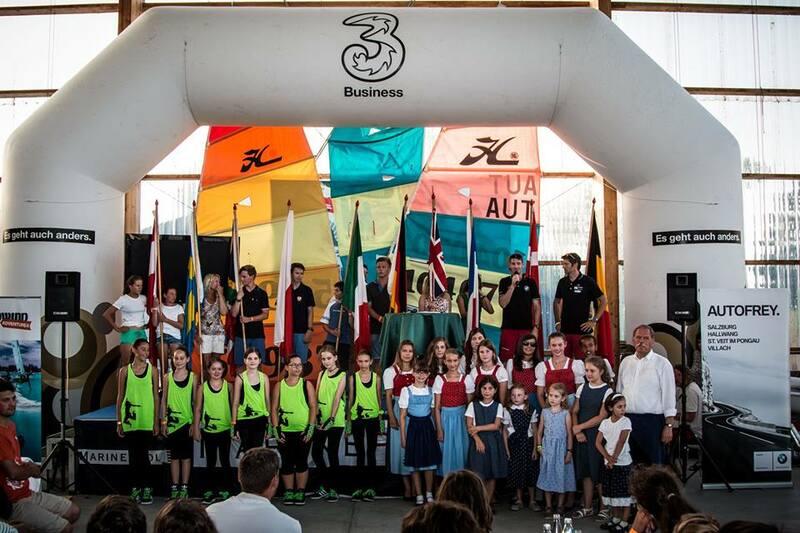 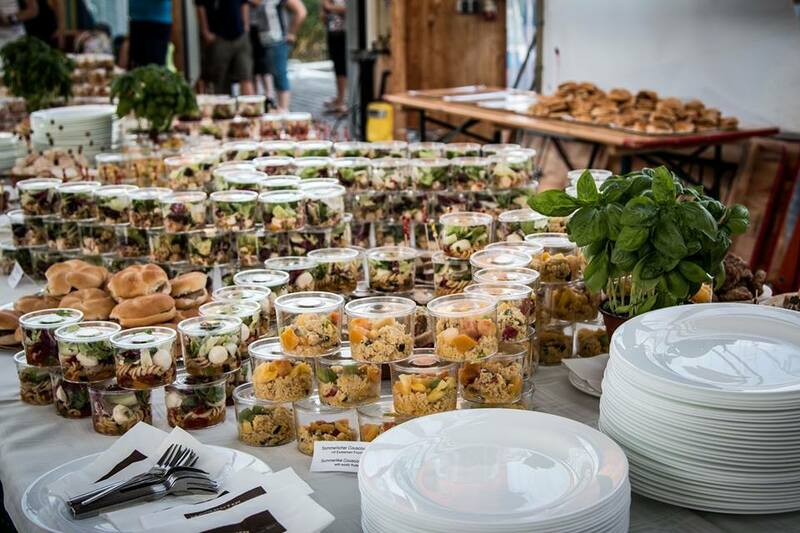 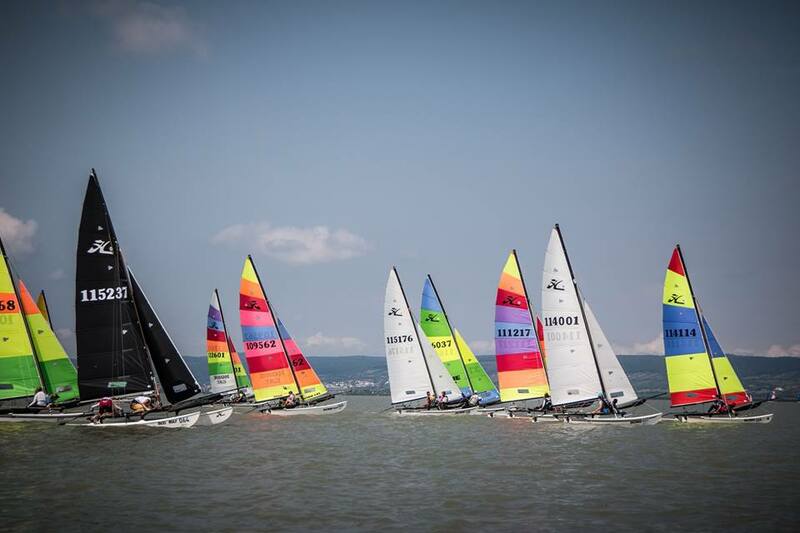 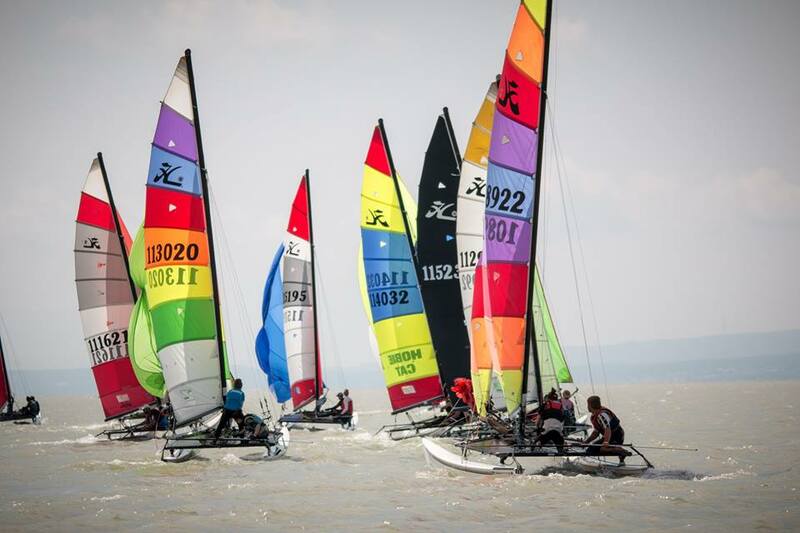 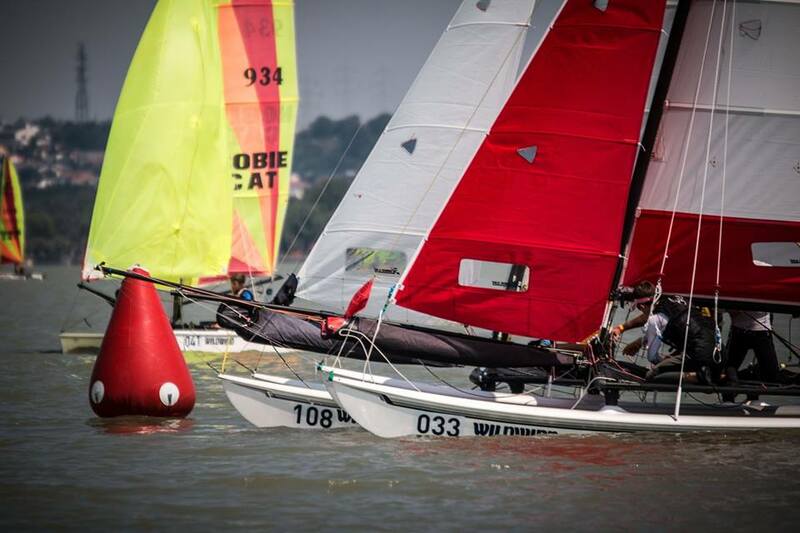 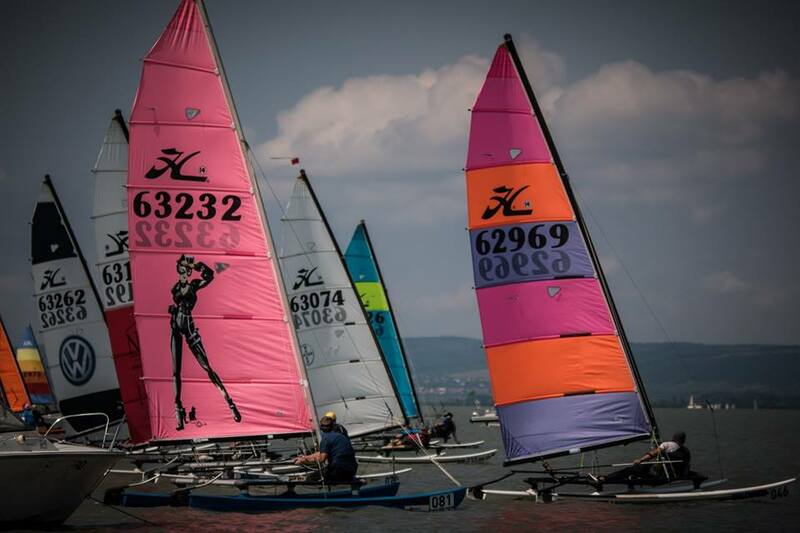 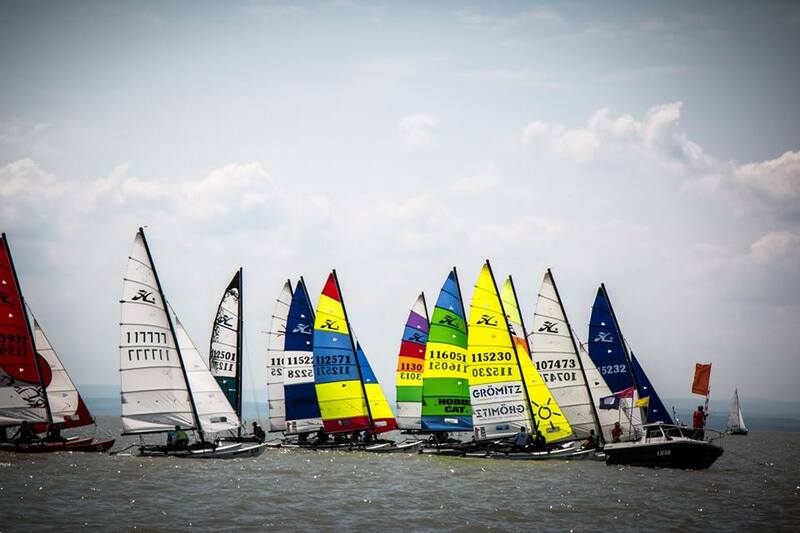 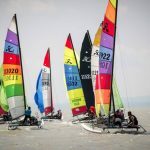 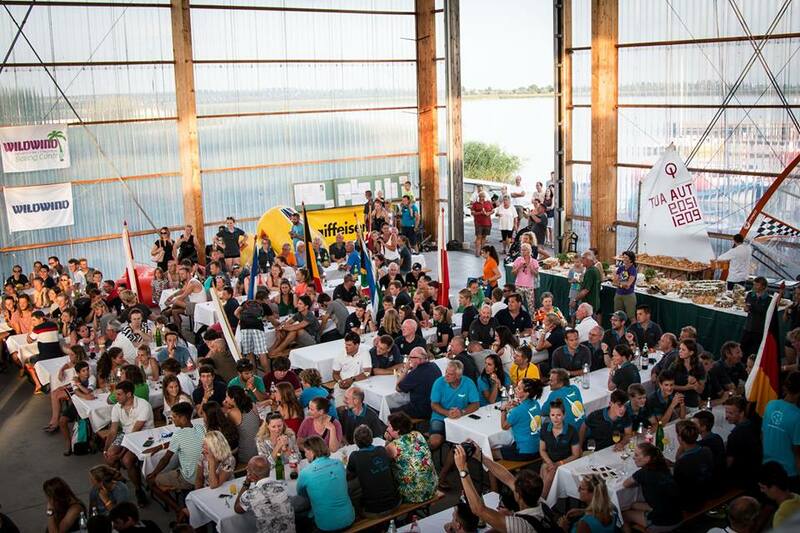 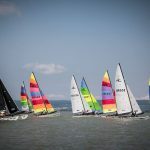 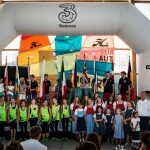 Four races could be sailed in the to the 2016 Hobie® Multi Europeans on Lake Neusiedl, Austria. 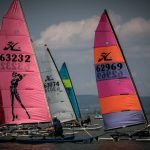 One race was sailed on the first day, three races on the second day. 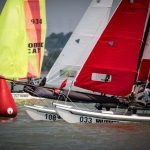 In four categories prizes have been awarded to the Hobie 16 Spi cup, Hobie 16 Womens, Hobie 16 Masters and Grand Masters disciplines. 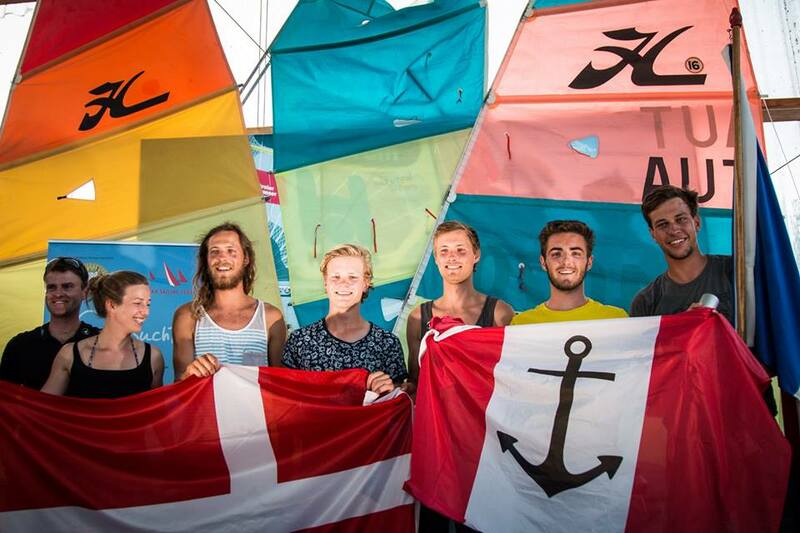 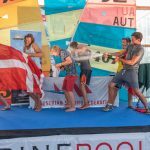 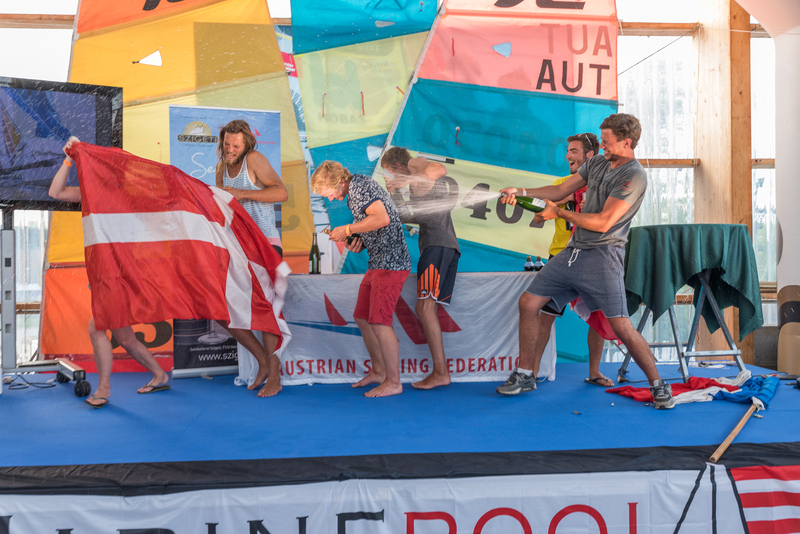 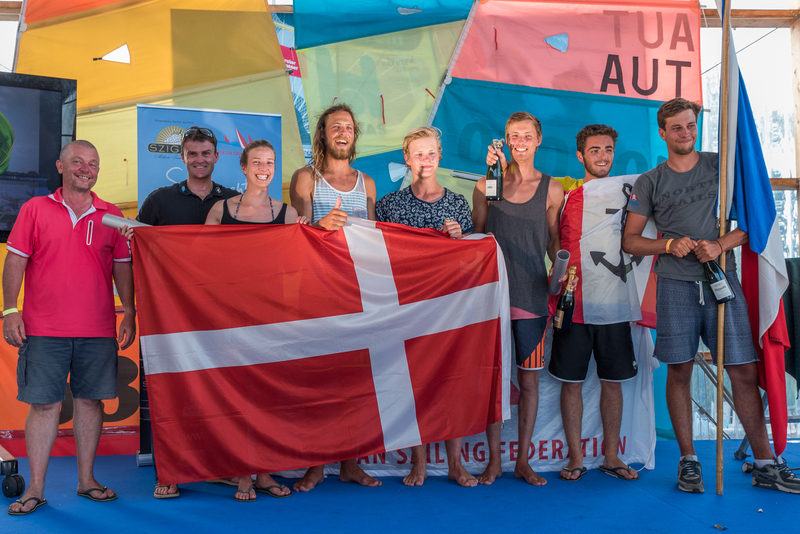 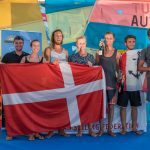 The “Danish Dynamite“ dominated the Hobie 16 Spi Cup with Nicolaj Bjornholt/Christian Dannefer finally on top. 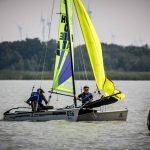 Followed by his brother and current Hobie 16 World Champion Daniel Bjornholt and his crew Josephine Frederiksen right behind. 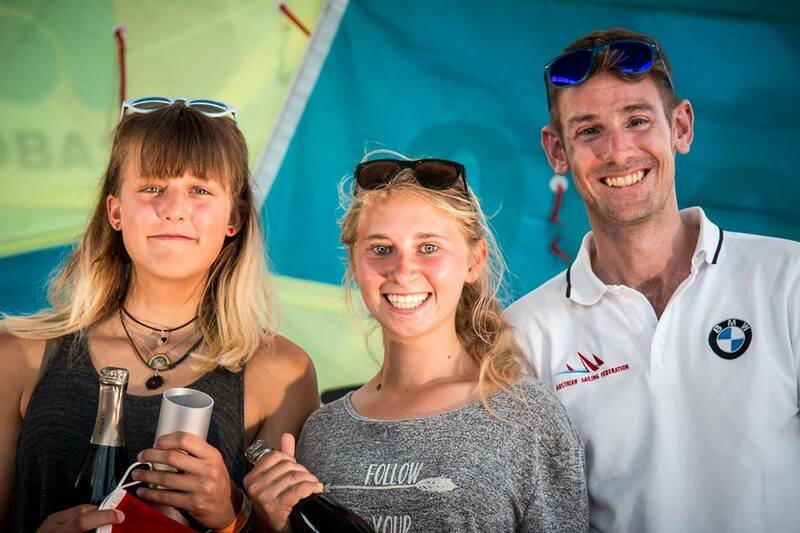 Third place went to France, Leo Champroux and Guillame Yvon won the first race of the series but then couldn’t finish better than fifth in the following races. 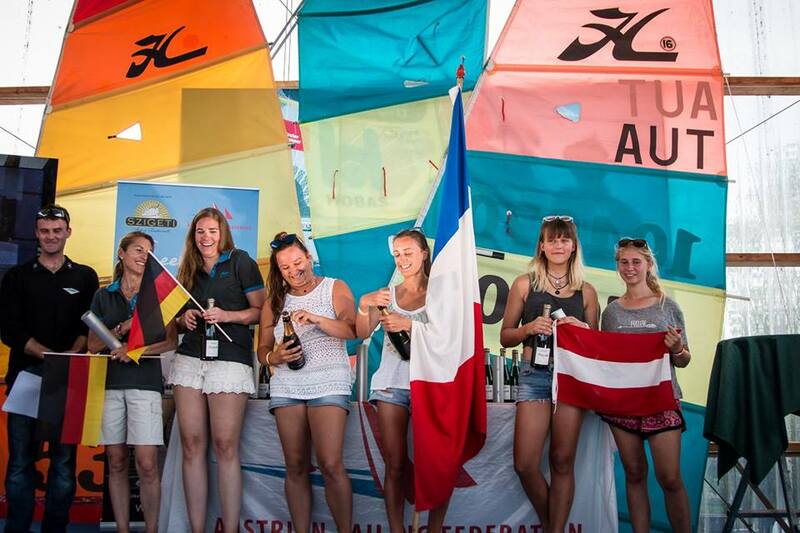 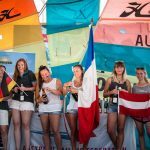 In the women’s competition French team Laetitia Lefevre and Fiona Cauvin had a close fight against Germans Kerstin Wichardt and Sarah Schütte with one point ahead at the end of the day. 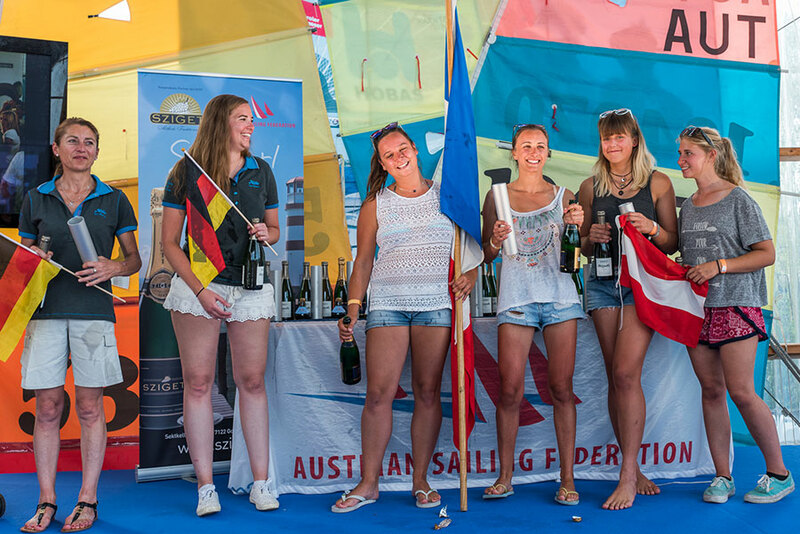 Third place went to the local team of Sophie Tschach and Katharina Stark. 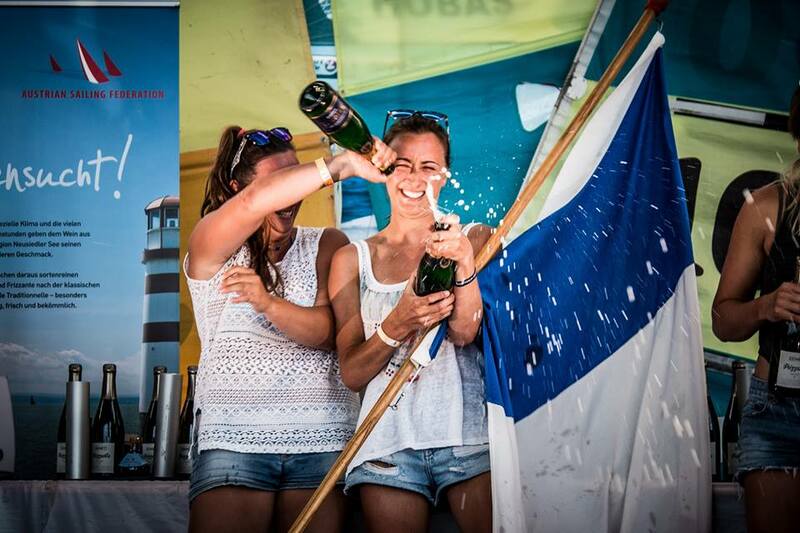 Two more categories finished today. 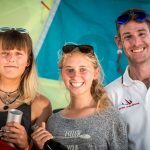 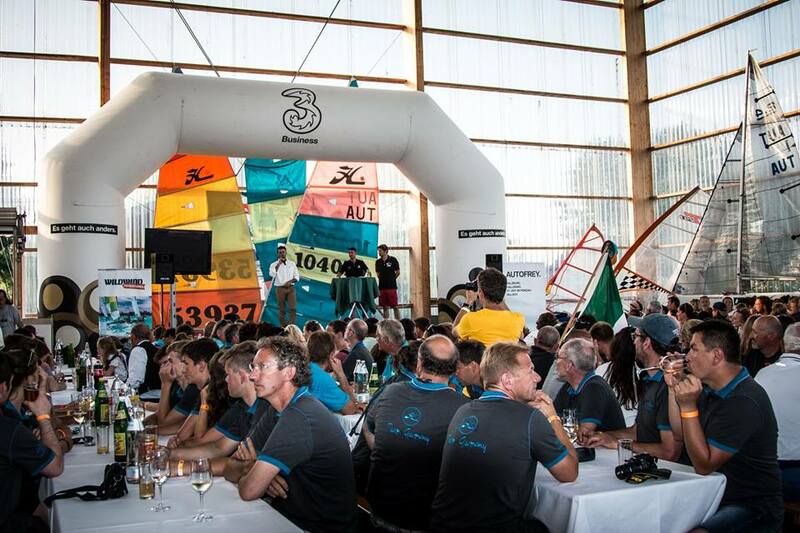 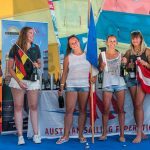 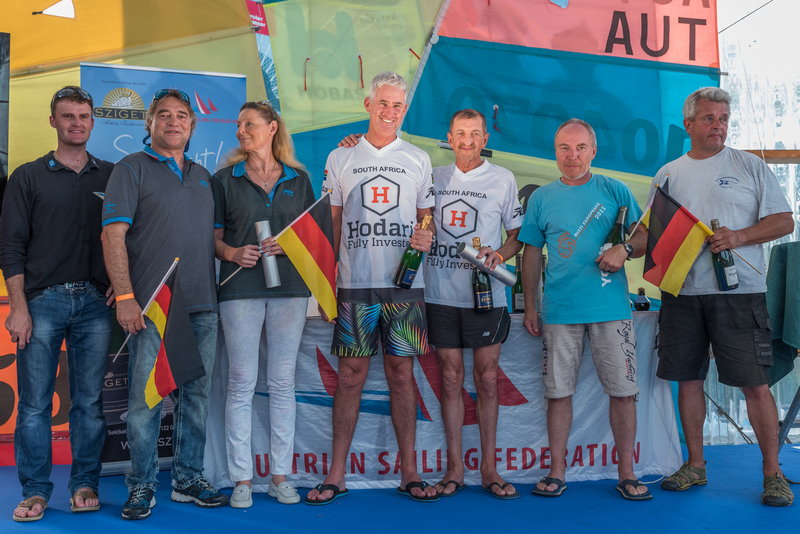 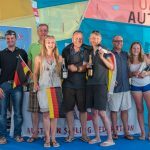 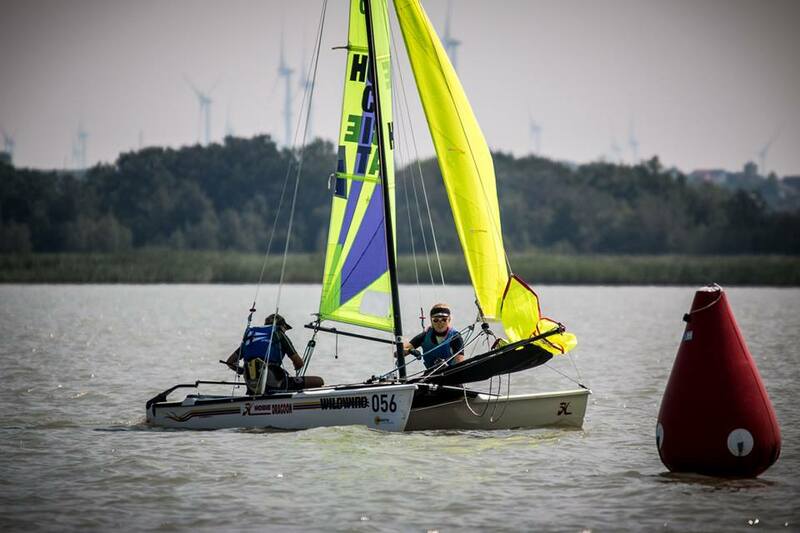 The Hobie 16 masters also brought out an double victory, this time for Germany. 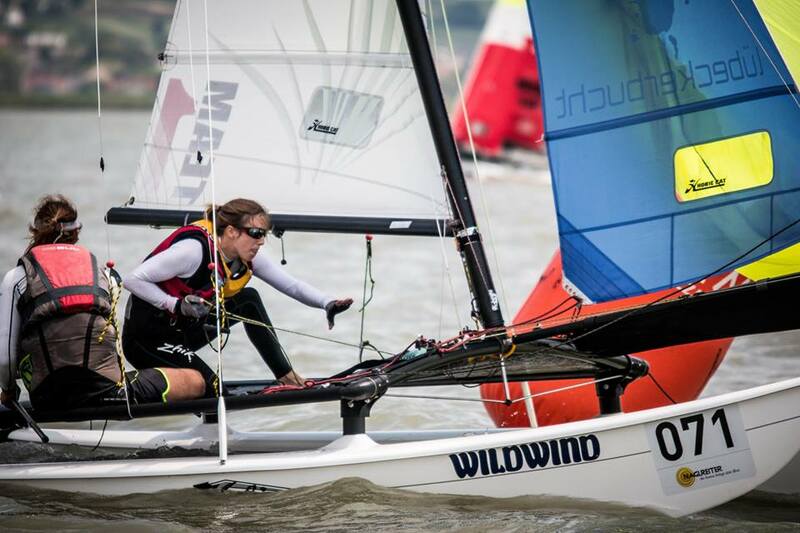 Knud Jansen and Christina Schober won two races and secured overall eight points to the second place. 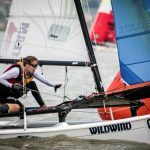 Right behind it was getting really close. 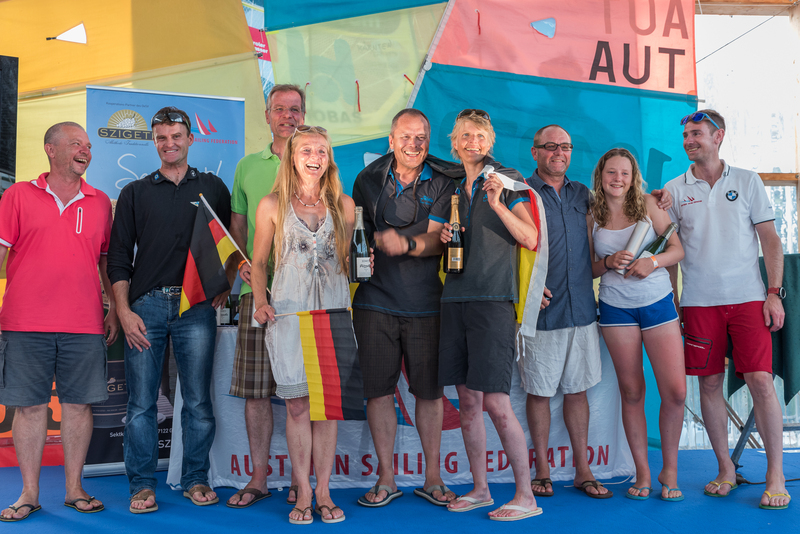 Delius-Wenig/Delius took the second place while Luxton/Luxton (GBR) finished third. 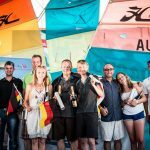 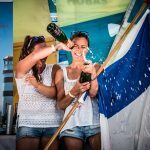 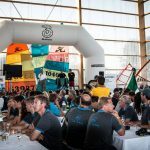 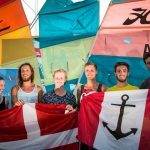 Same points but a third place as best race result therefore “only” place four for the local heroes Norbert Petschel and Olympic sailor Tanja Frank. 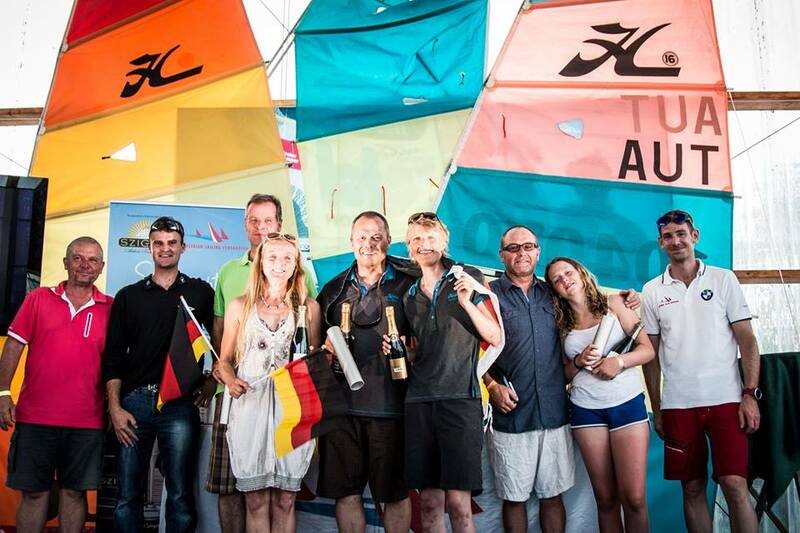 In the “Grand Masters” our guests form South Africa, Garth Loudon and Robbi Betsy won the regatta. 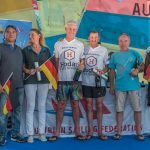 Espelmann/Diebels and Szameitat/Neu – both from Germany – finished right behind.